Whistler’s annual World Ski and Snowboard Festival (WSSF) is around the corner (April. 11 – 19th, 2015) and we have plenty of great Whistler accommodation options for you to enjoy your time at the WSSF. Whistler Village accommodation puts you in the thick of the action so you don’t even have to leave your own balcony! Yet, staying in the village gives you endless things to do in Whistler within a stone’s throw of your front door. Windwhistle is located near the taxi loop on the west end of Whistler Village located above a local pub and night club. This is a great location if you’re looking to enjoy the outdoor WSSF parties and outdoor concerts that will be entertaining onlookers. Be aware that you are located above a night club, so if you do not want to be woken at two or three in the morning, then this might not be the best option for you. 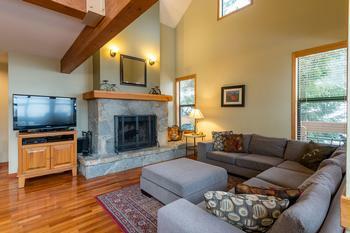 However, Windwhistle is the ideal accommodation for guests choosing to stay out for a party or two in Whistler Village. The development features one-bedroom units with a full kitchen, microwave, fireplace, and TV/VCR. Other facilities include jetted tubs, on-site laundry, and parking. Note: Click on the above images to learn more about the available property. Availability is subject to change. Located in one of the more scenic areas of upper Whistler Village, Northern Lights has multiple room suites that offer guests pristine views of Whistler Blackcomb. All units in Whistler’s Northern Lights feature full service kitchens with microwaves, TVs/VCRs, fireplaces, and sundecks. In fact, you can enjoy the spectacular mountain views from your own private hot tub. If you prefer not to be in Whistler Village, check out the remaining availability for all our Whistler accommodation and rentals for the World Ski and Snowboard Festival.